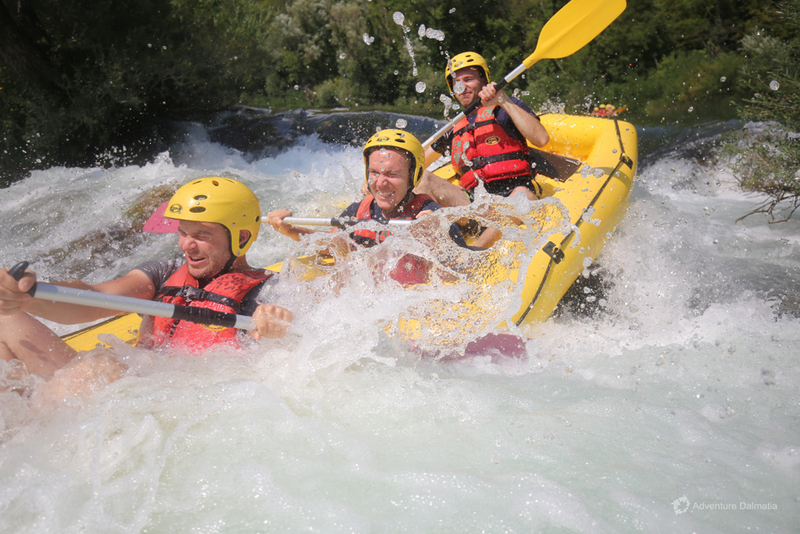 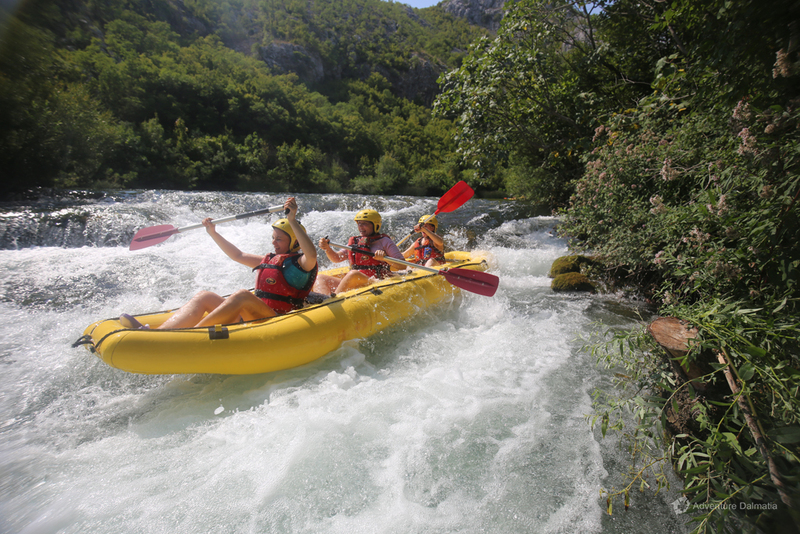 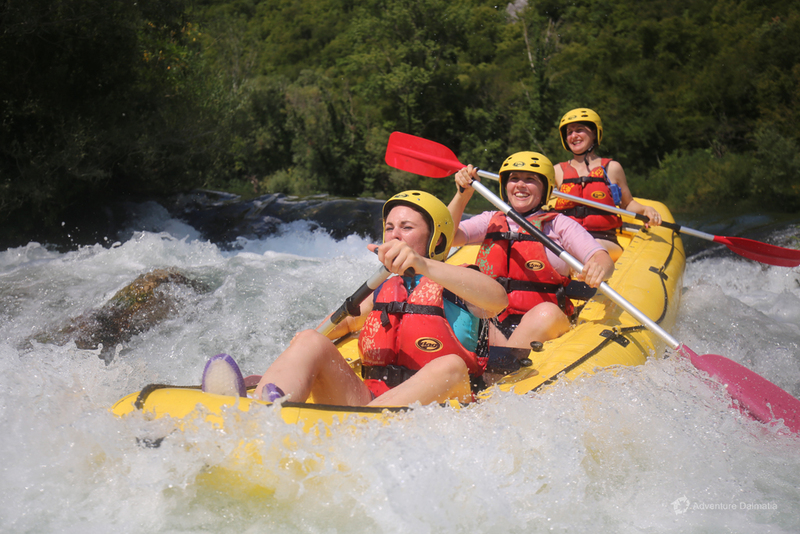 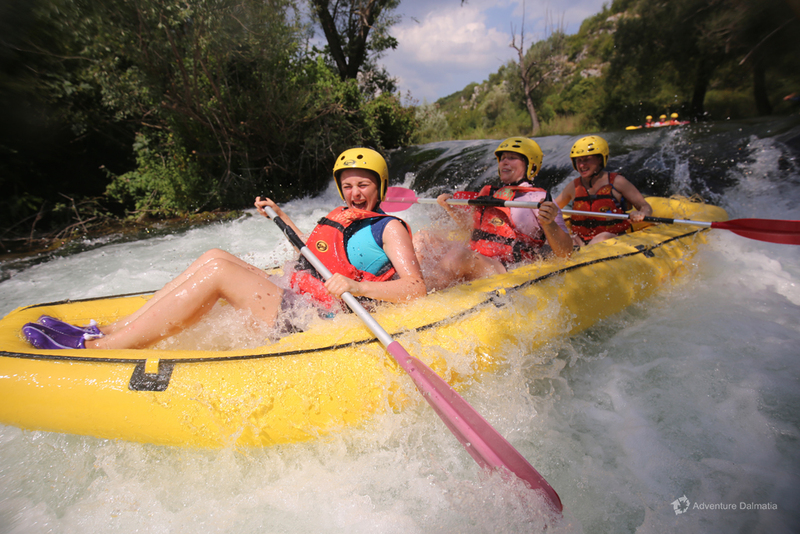 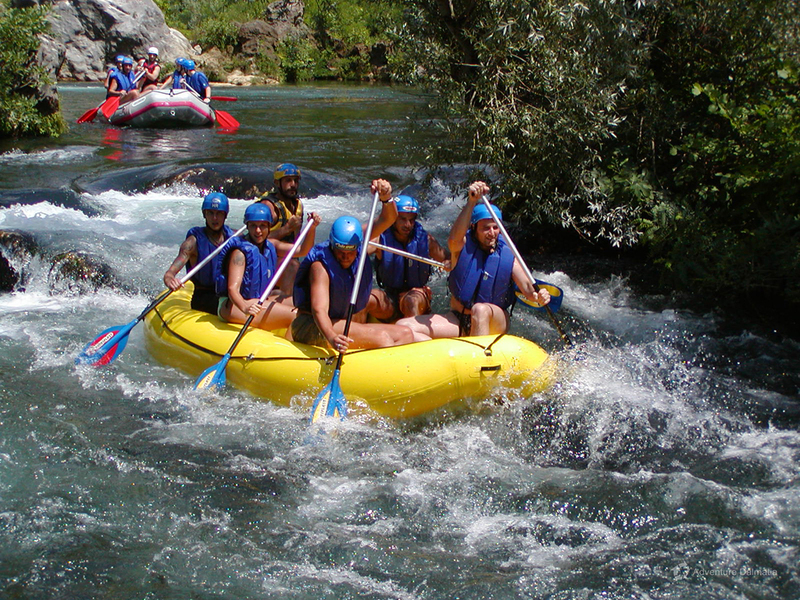 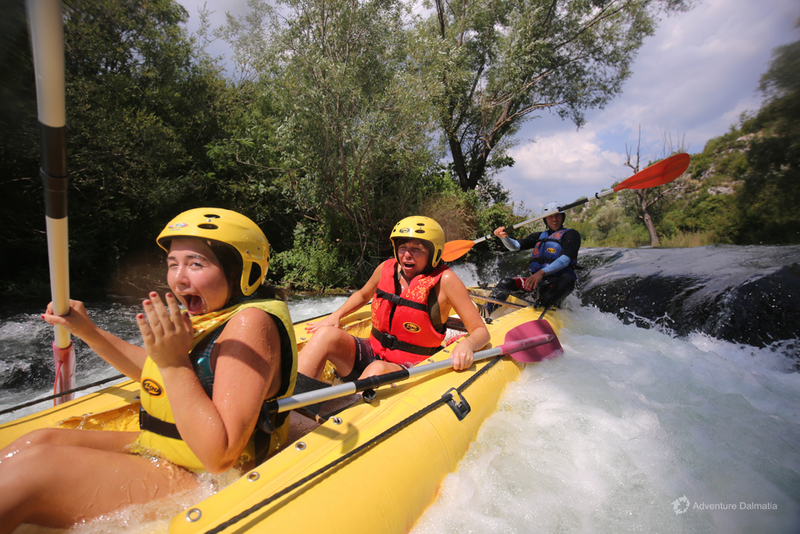 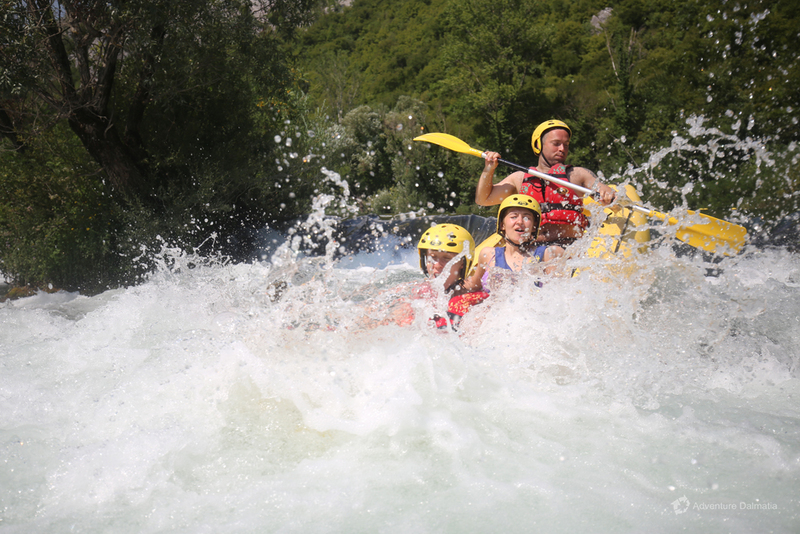 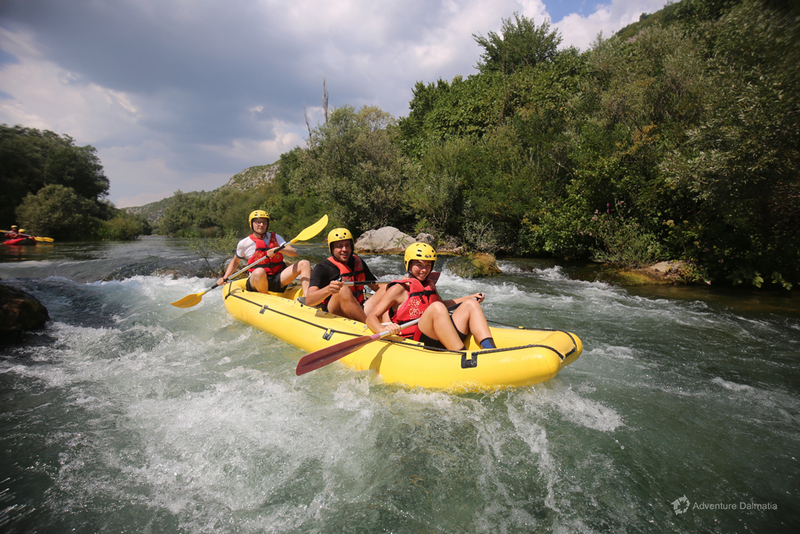 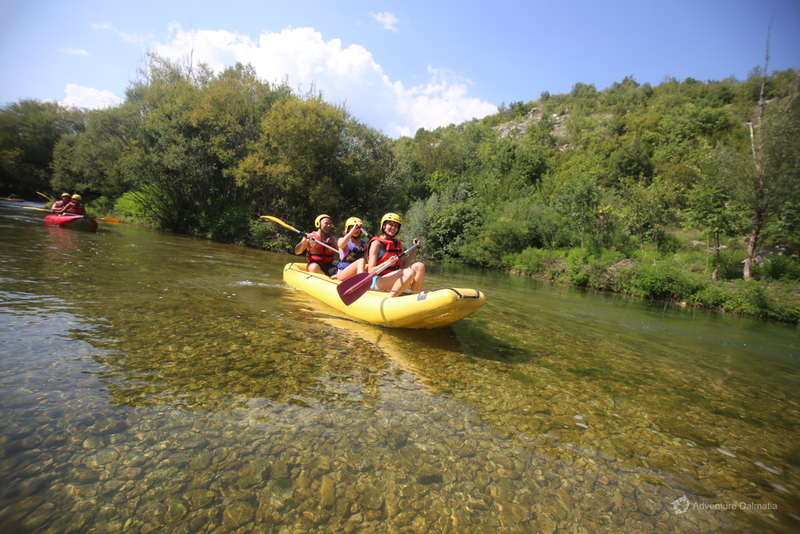 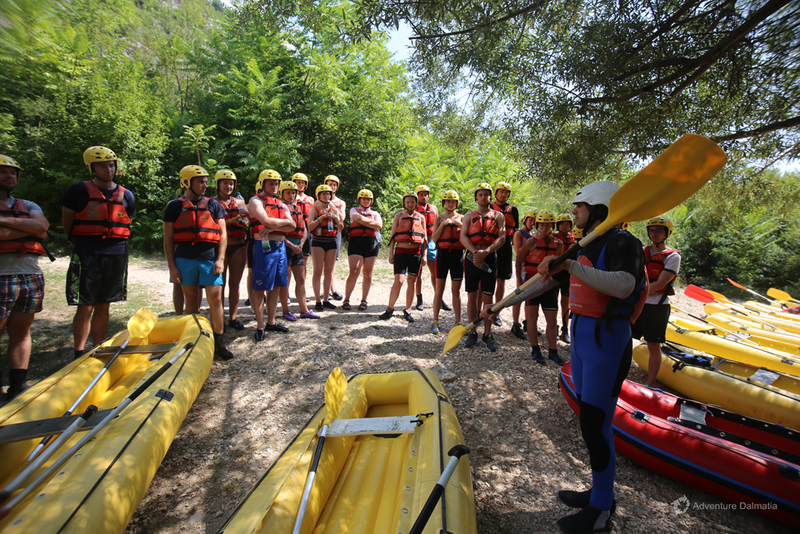 Start your day with rafting in the morning, slide down the rapids, avoid boulders and work together with your team. 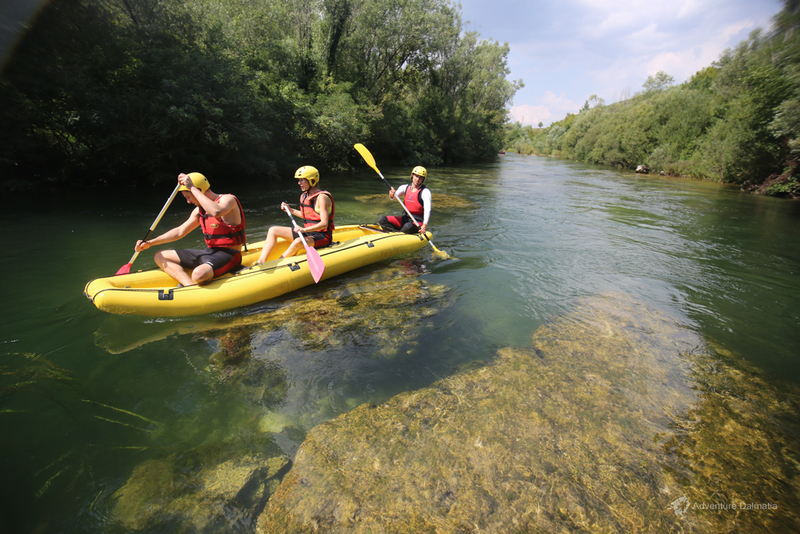 Our experienced guides will share their knowledge of the local flora and fauna, give you tips to improve your paddling so you have plenty to talk about on a BBQ break. 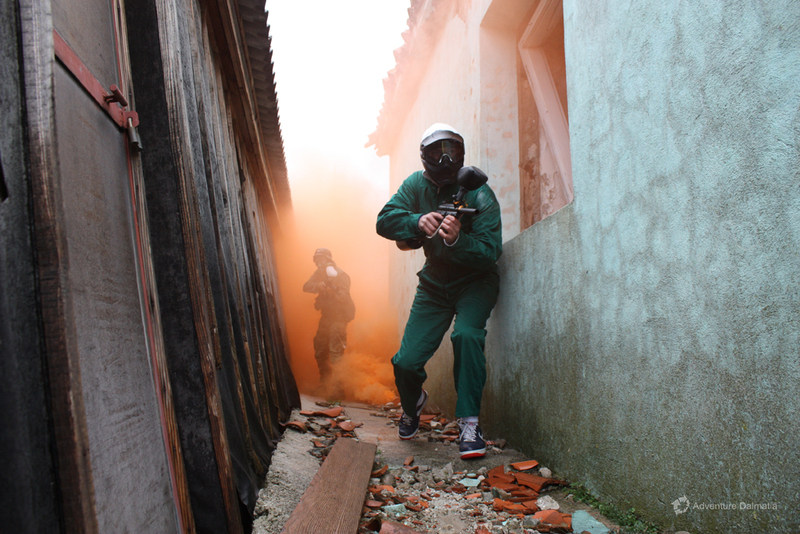 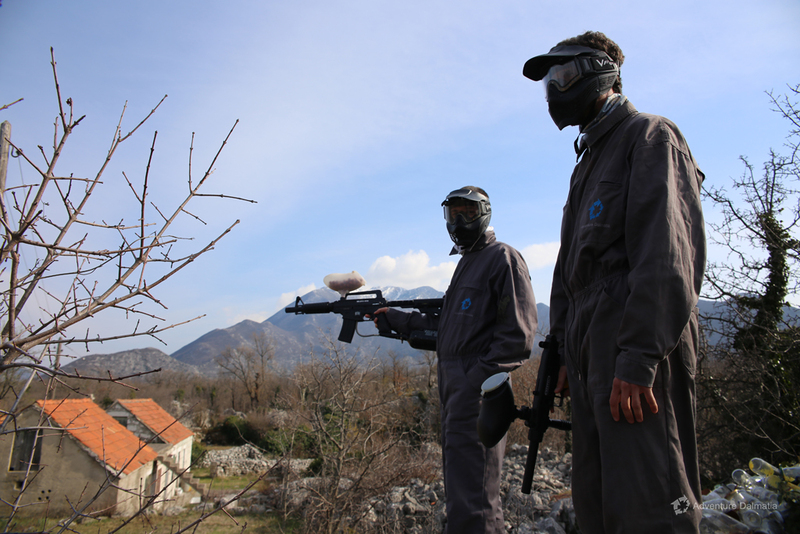 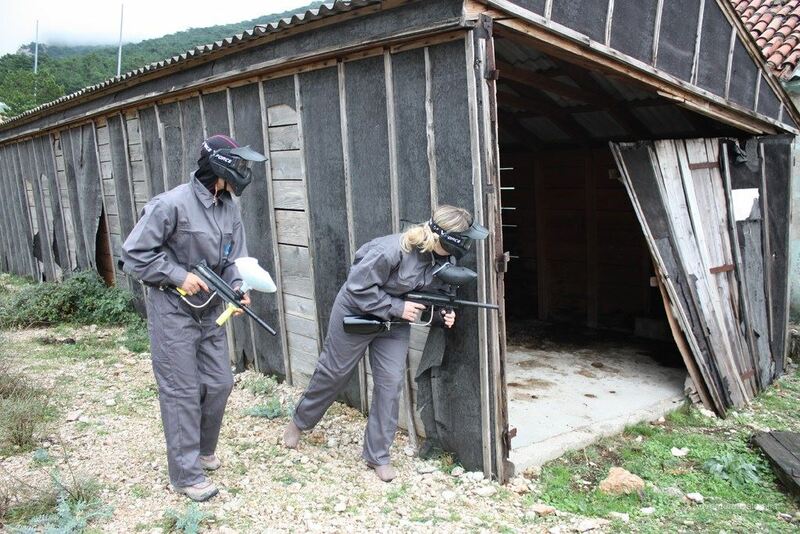 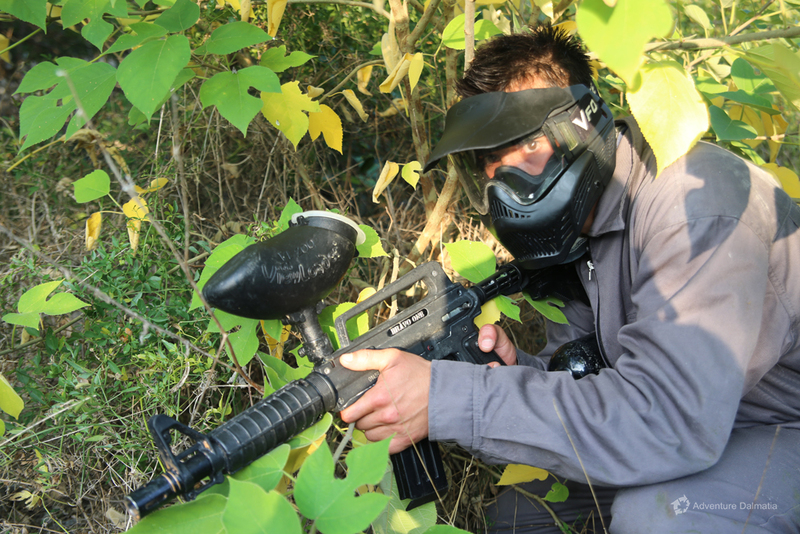 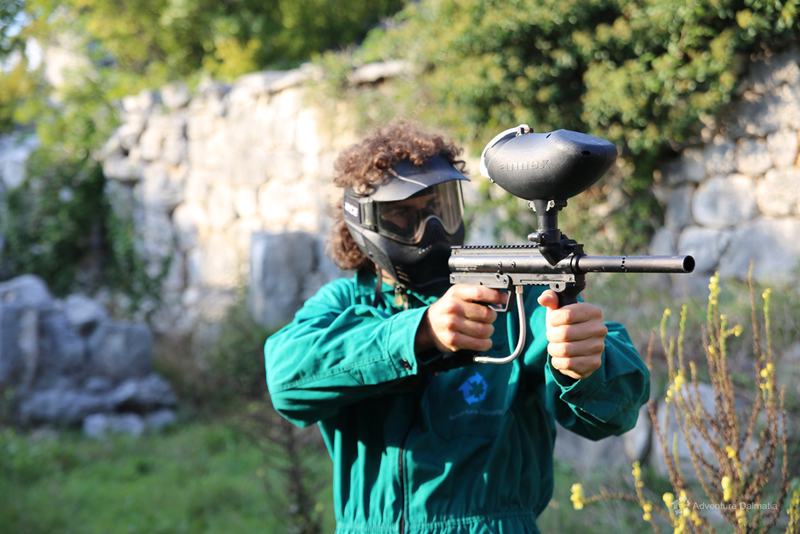 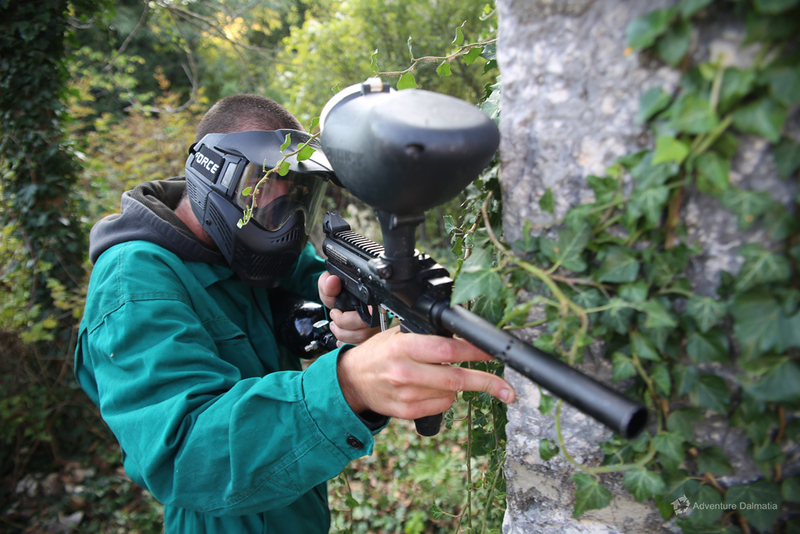 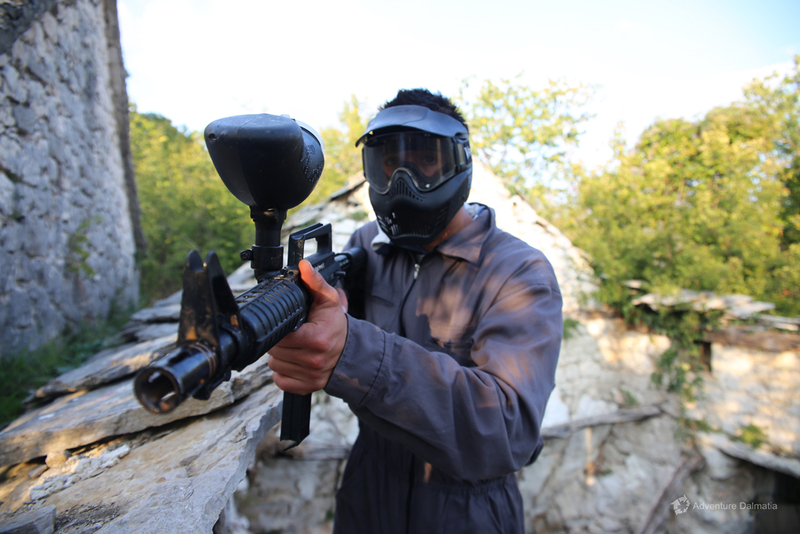 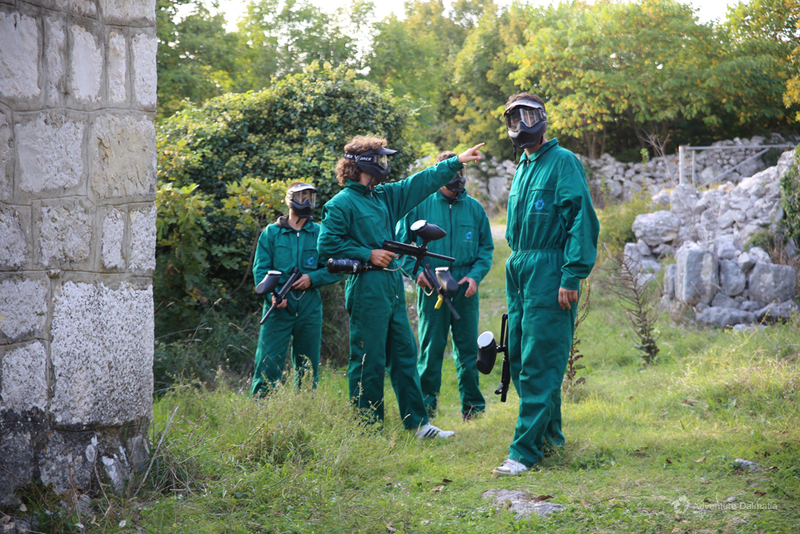 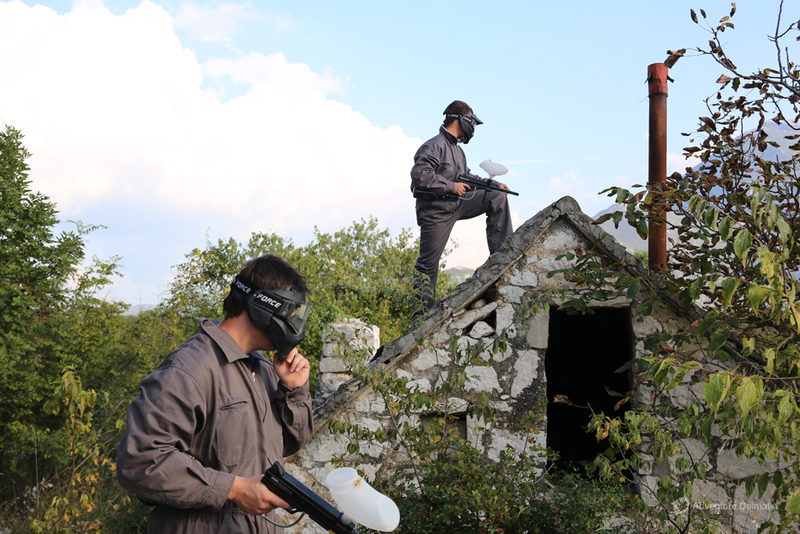 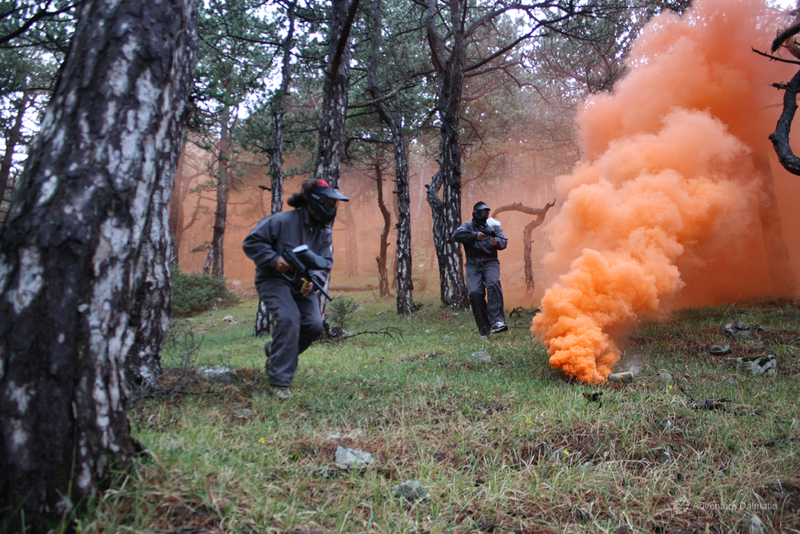 After the morning thrill, spend the afternoon paintballing in an abbandoned stone village. 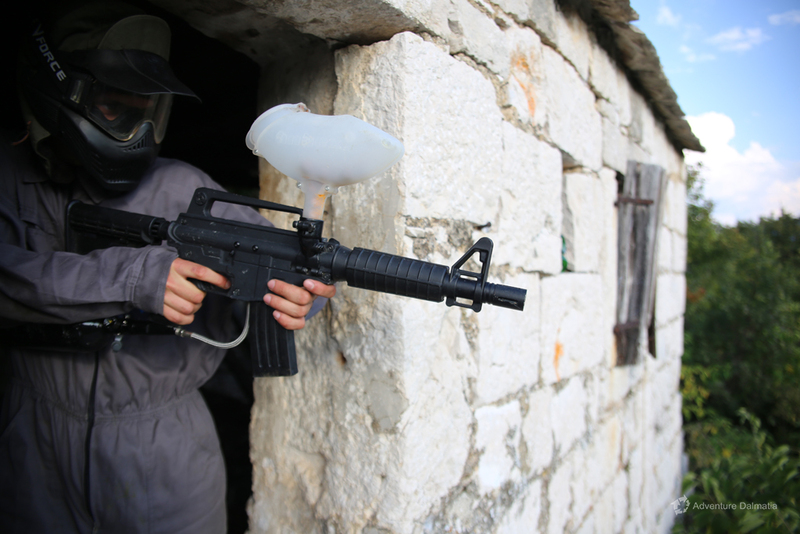 This activity will challenge both your mind and body. 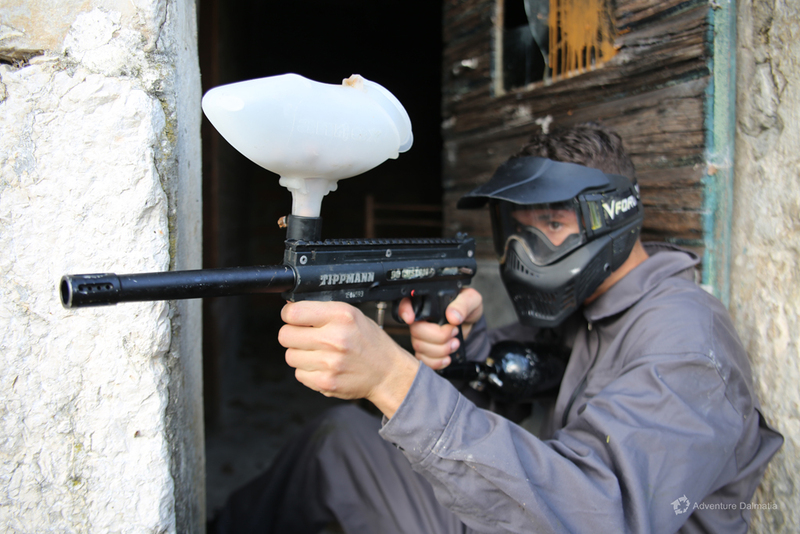 Get ready for some paint splashing! 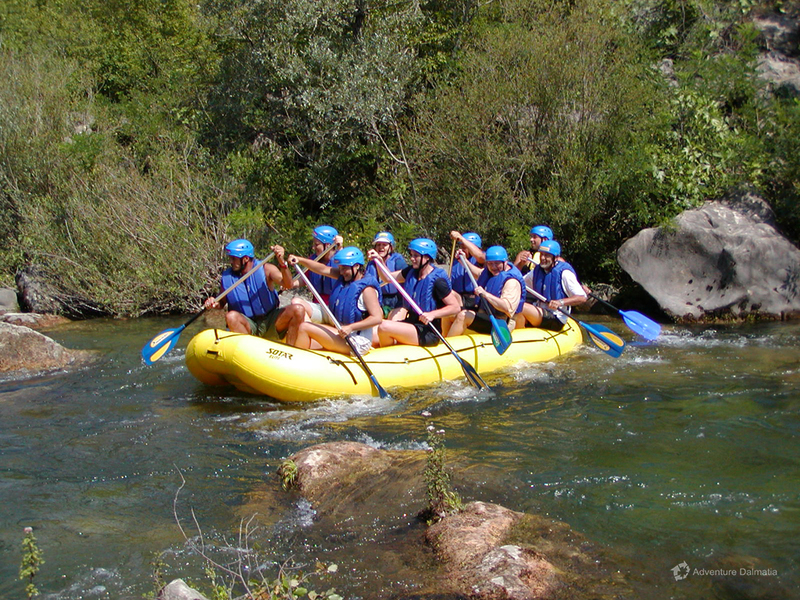 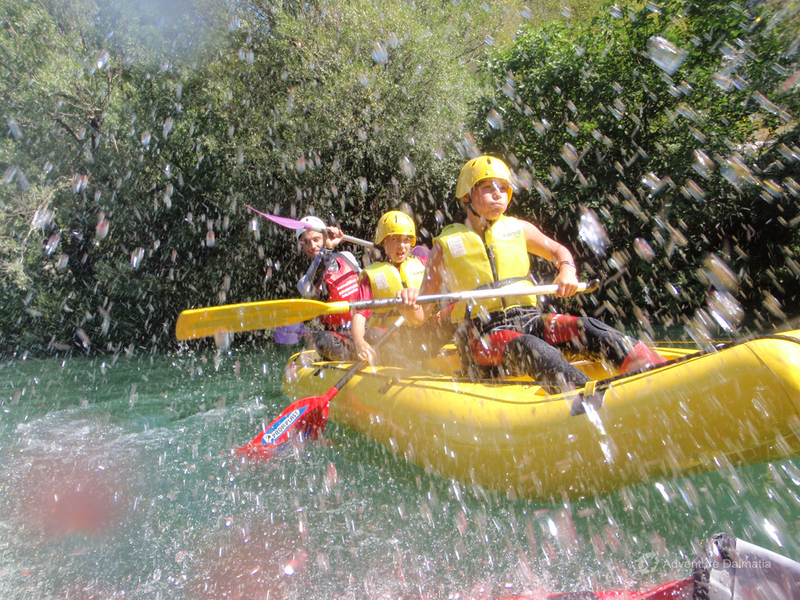 Age: Minimum age is 8 years for Rafting and 16 for Paintball. 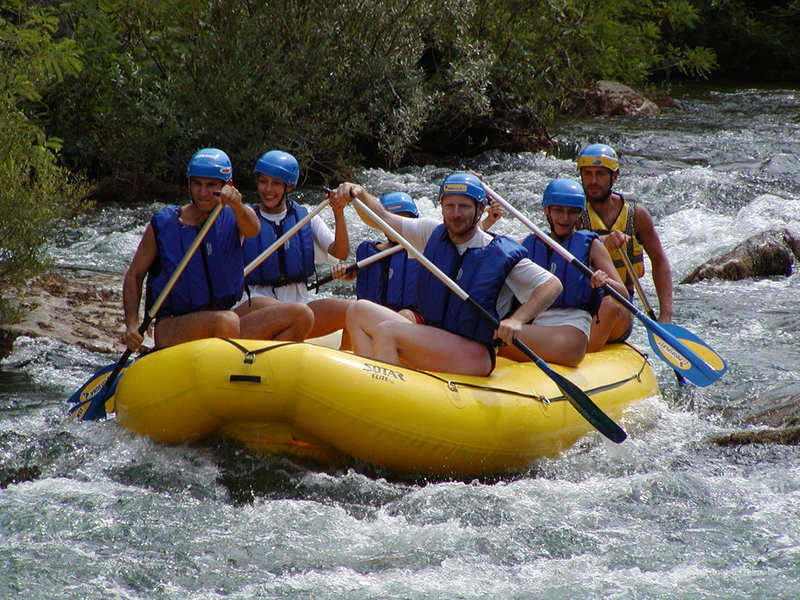 What to Bring: Swimming suit, towel, clothes to change after the rafting tour; comfortable clothes and shoes for paintball, water for both activities. 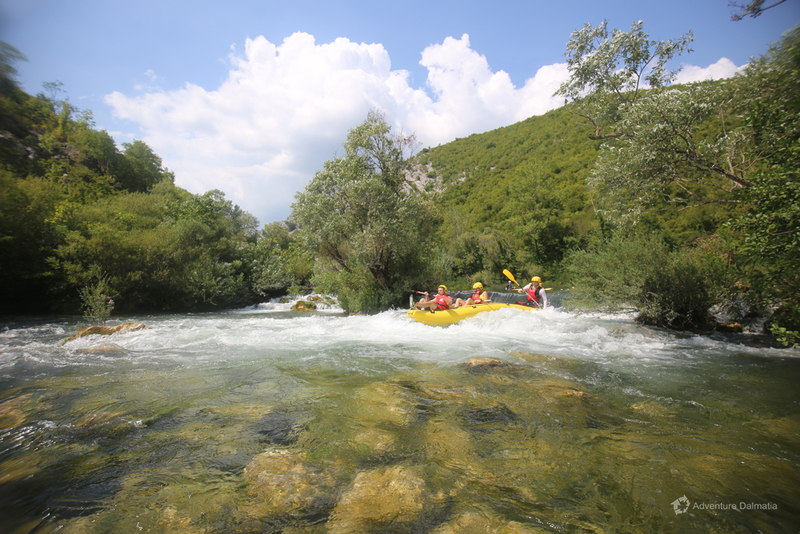 Food and drinks: Lunch in Zadvarje village after the rafting trip and before paintball activity is included. 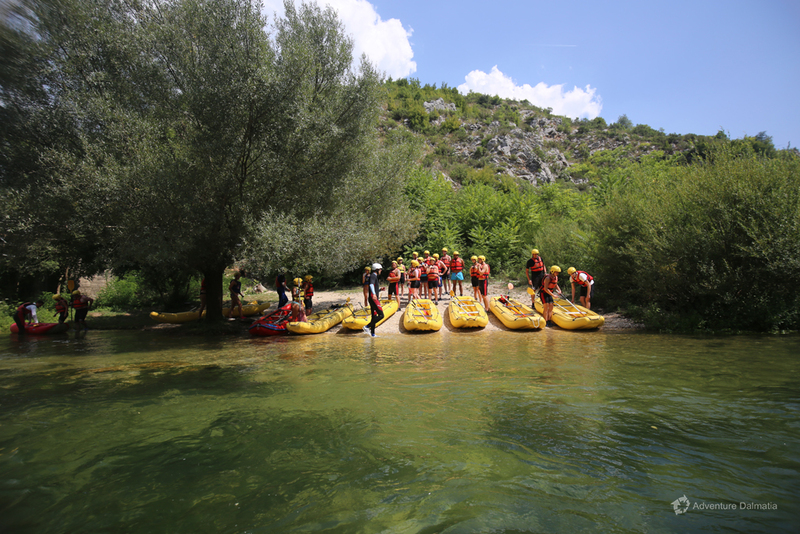 Onsite Facilities: Toilets are available in Zadvarje village and in a restaurant during lunch.